If you would like to reserve or sell items, you must be signed in and be attending the swap. 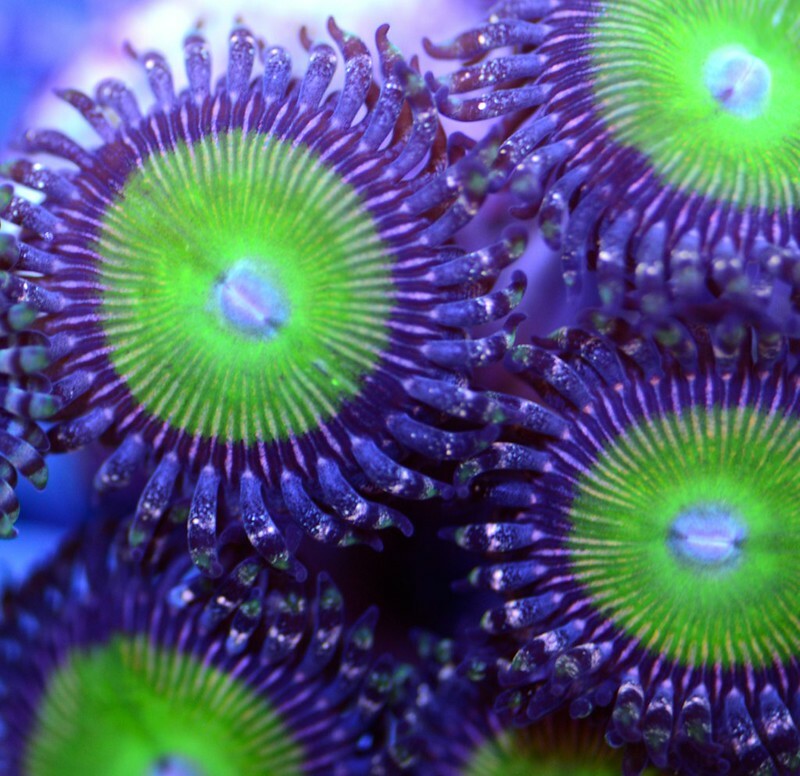 Do you like the service that ReefTrader.com provides? Have you sold or bought a bunch of frags for the upcoming swap? Please consider supporting ReefTrader.com to help keep the site up and running with continued improvement and development. Your support would be much appreciated! Even $1 per user would go a long way in covering our yearly costs. 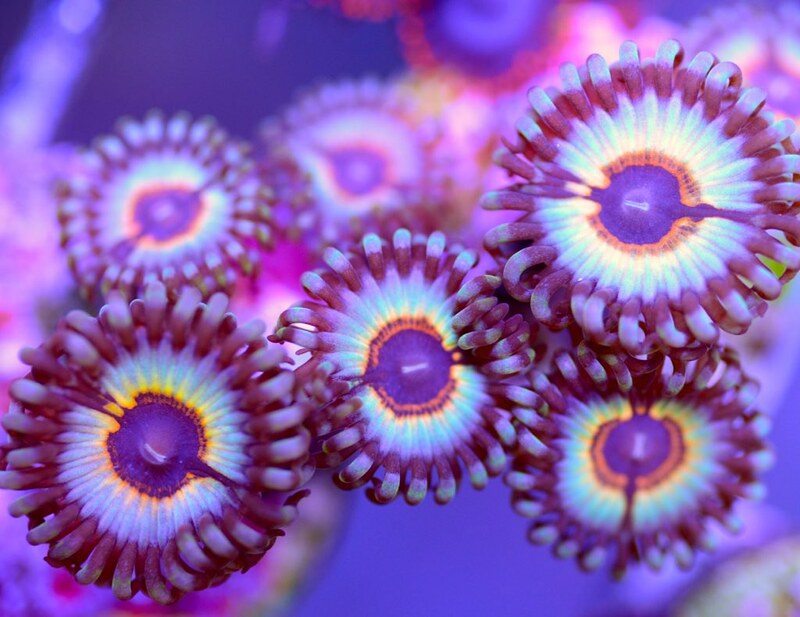 Lunar Destroyer Zoas! 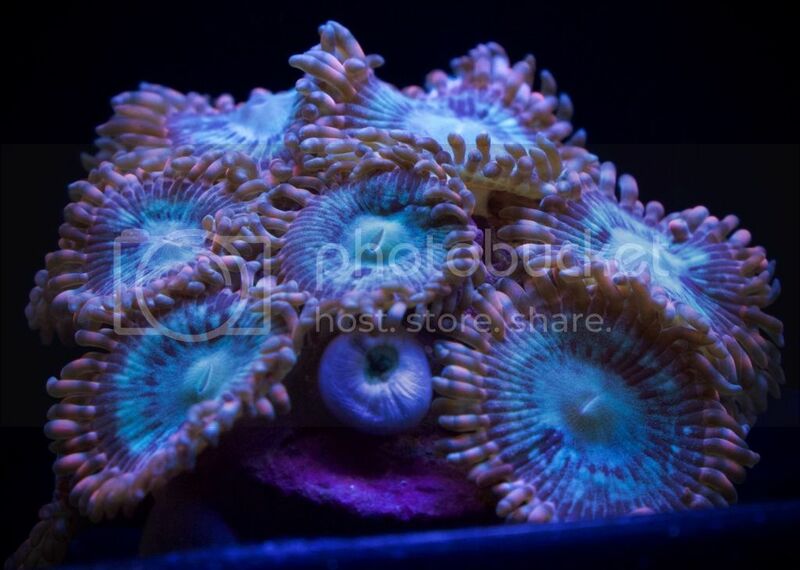 These frags have at least 10 polyps on them. 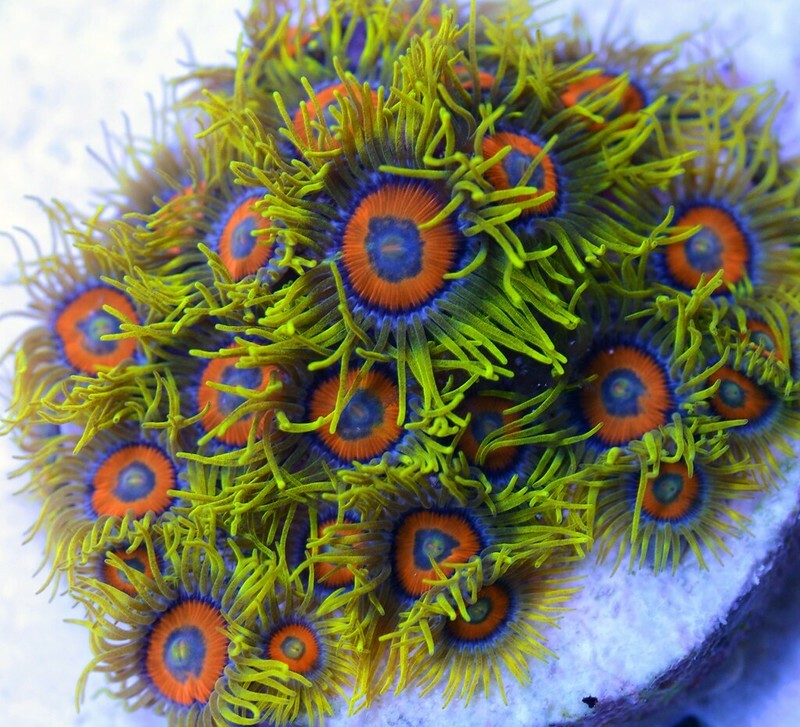 They have a nice green and blue tie-dye with orange stripped tentacles. Fire and Ice Mini Colony. 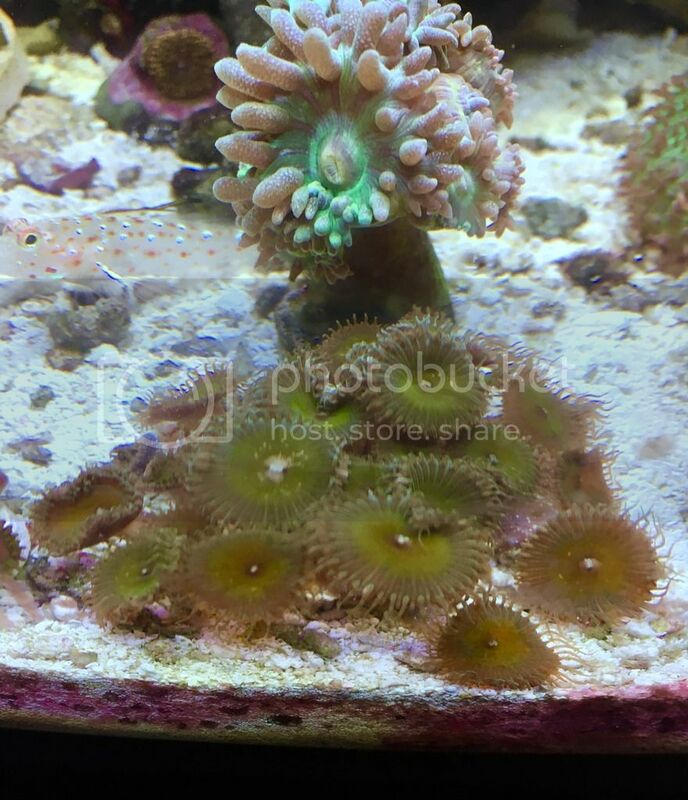 30+ polyps. WWC Lemon Lime Favites. These frags have around 10-12 eyes. 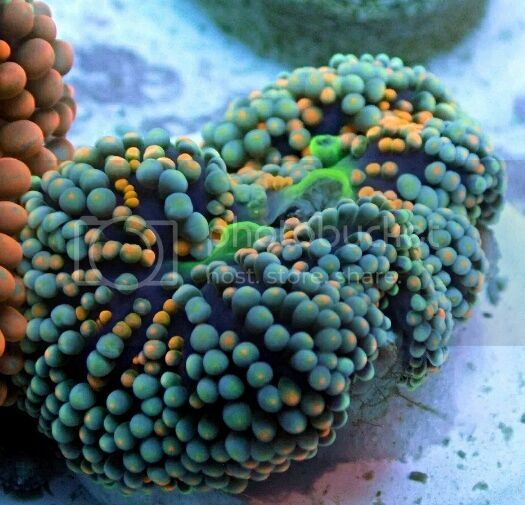 This is a very pretty coral when it gets bigger. I forgot all about this one so I only have a WWC Photo. 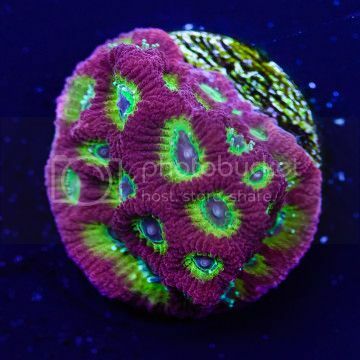 Chunky 1" Frag. This is my "Drop the Mic" tabling acro. Make sure to checkout the rest of my listings by clicking on the link next to my name. Captive bread black an white Clownfish, size range from 1 1/4" to almost 2" send email to RSVP with how many you want. These will not be part of the show but will bring them if you RSVP, sale is possible after the swap but would have to make arrangement pics apron request text 567 249 8002 couldn't get them to load on this site. Different look on the classic orange ric. Only one available! 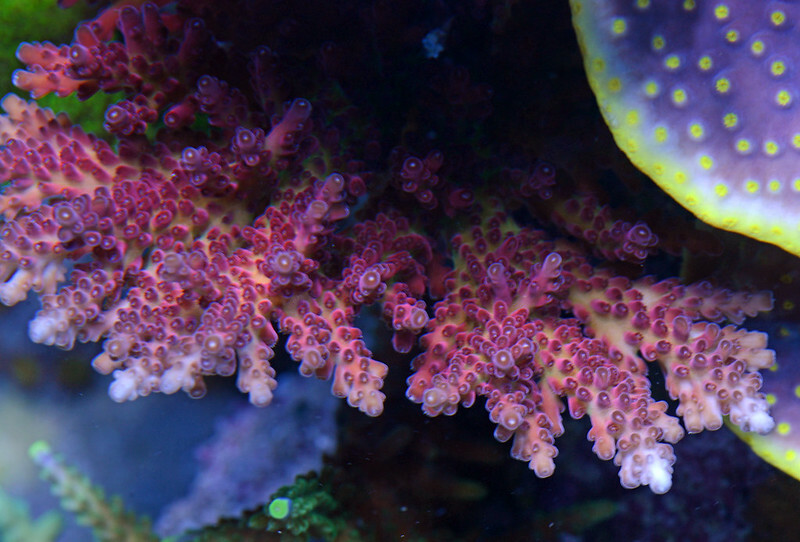 50+ polyps of mohawk zoa on a skull frag rock. The rock has a mohawk of mohawks! There are 3 holes in the rock for plugs but they are covered by zoas. My terrible camera phone pictures under LED's does not do them justice. Updated pricing on all of my listing. will give deals on multiple items purchased! 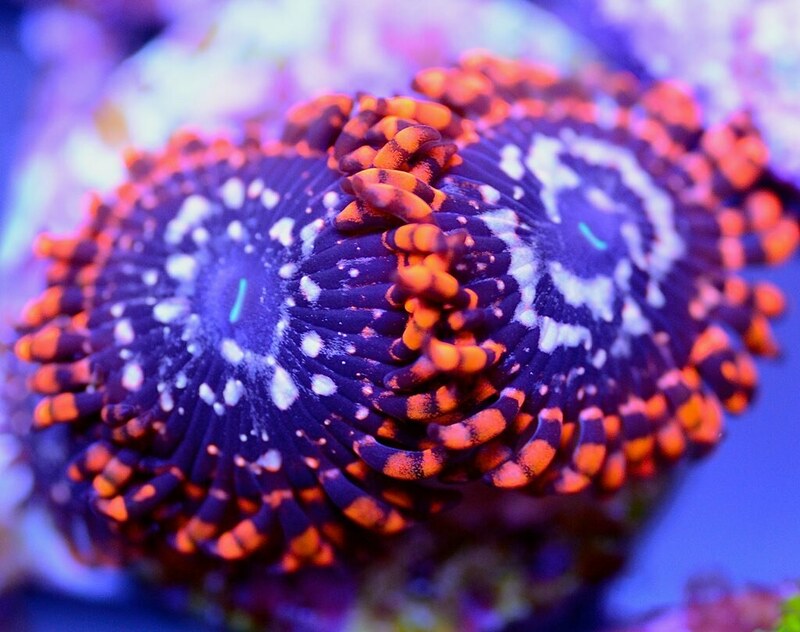 40-50 Zoa similar to greenbay packers, its on a skull frag rock with 3 holes in the top for frag plugs. 3-4 polyps of Super Sunflowers. 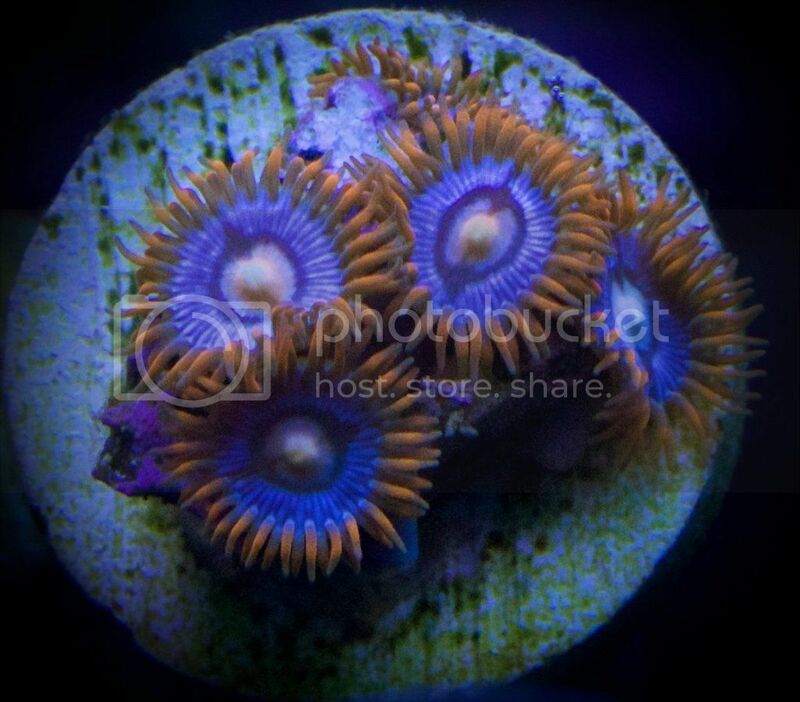 These are the brightest zoas in my collection, and have a beautifully long skirt. Make sure to checkout the rest of my listings by clicking on my name. 4-5 Polyp. Make sure to checkout the rest of my listings. Make sure to checkout the rest of my listings by clicking the link next to my name. 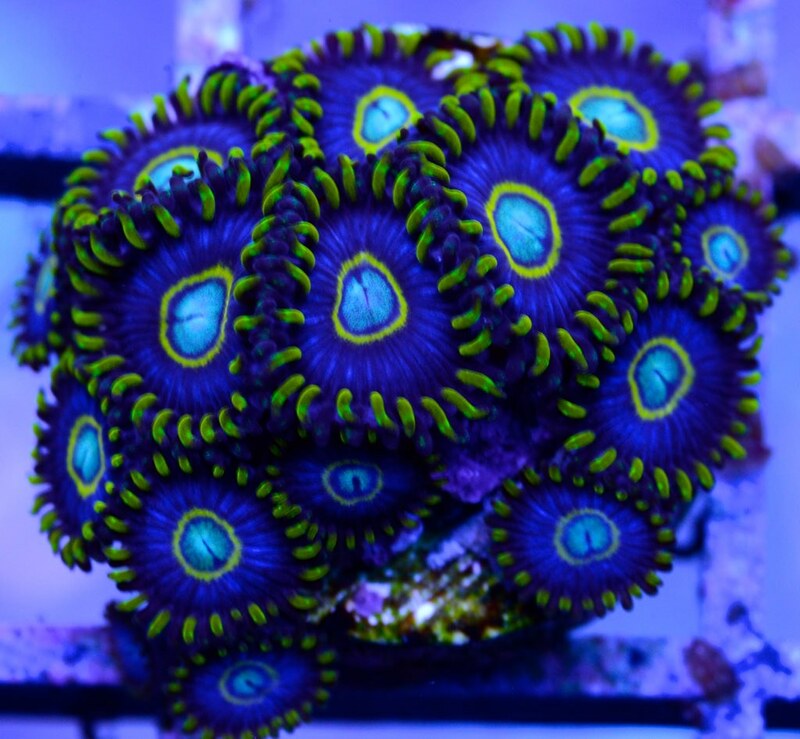 3-4 poyps of this large Zoa/Paly attached to plug. Make sure to checkout the rest of my listings by clicking on my name. 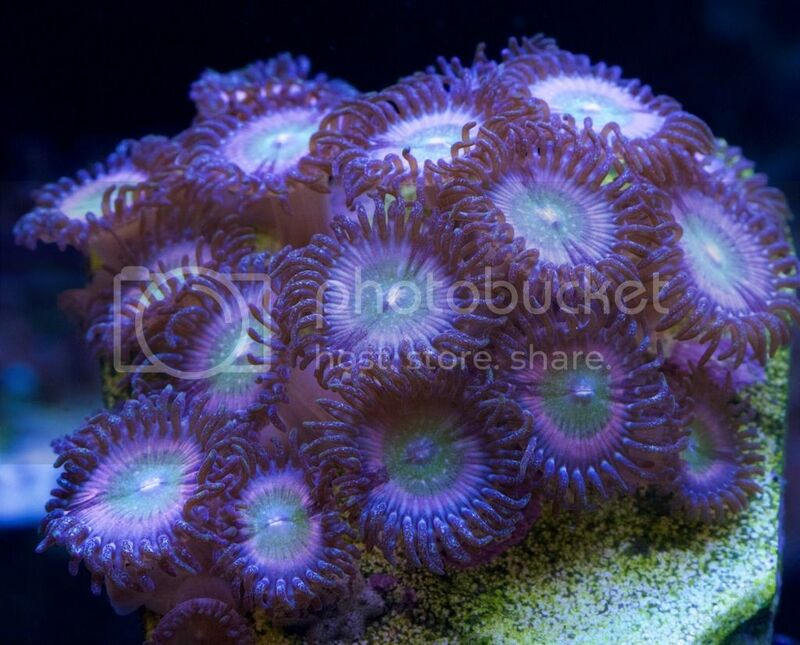 4-5 polyps. Make sure to checkout the rest of my listings. 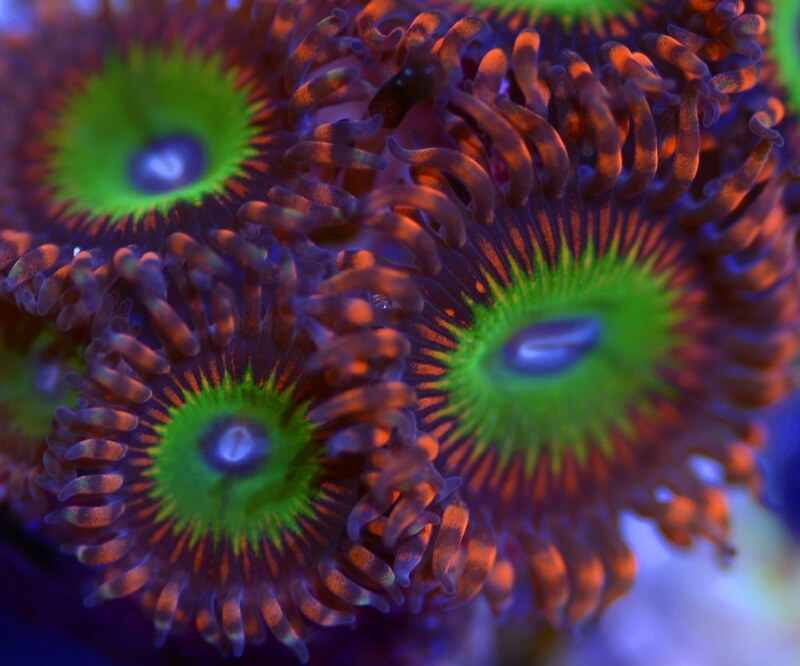 1 polyp of this large Zoa/Paly attached to plug. Make sure to checkout the rest of my listings by clicking on my name. Not too many Yellow Acro's out there, this one is special. 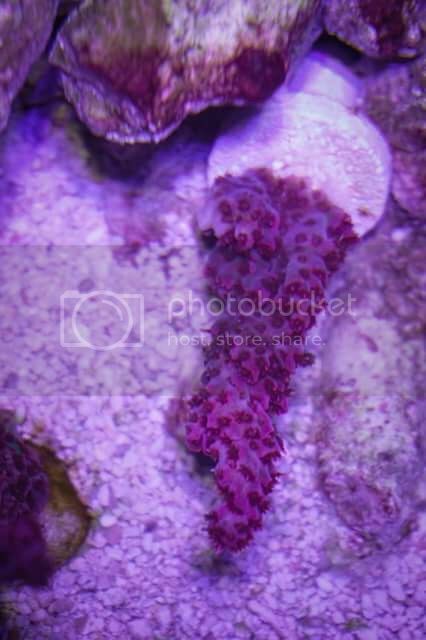 Large, thick, finger like branches, large 1.5" frag of this beauty. 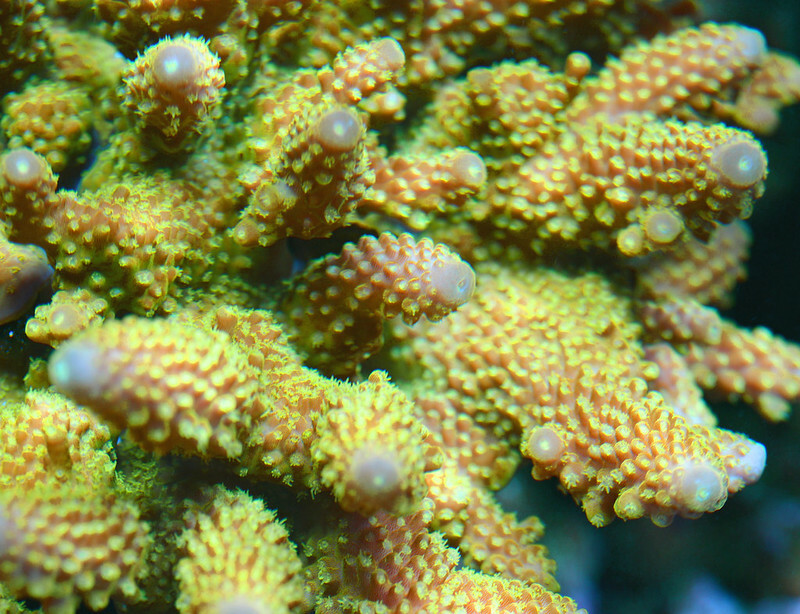 Hardy and fast growing, a bullet proof acropora for me. 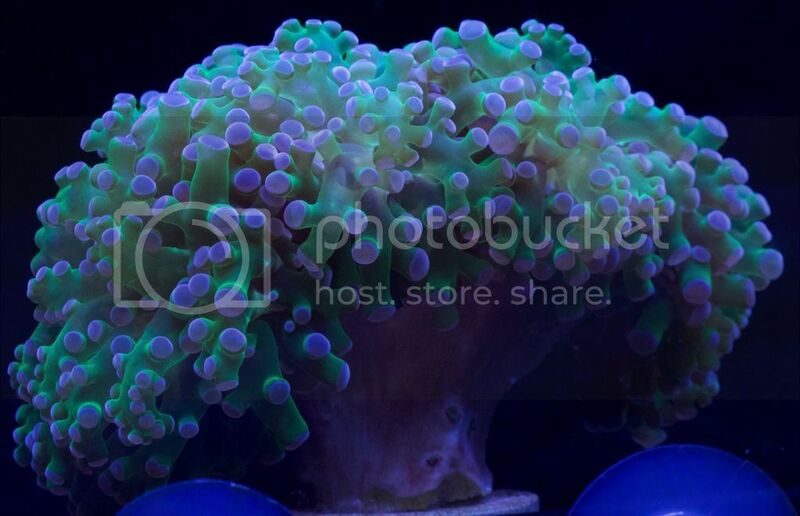 1" frag of acropora hoeksemai, its a beauty, blue with contrasting teal corallites.